I will be completely honest with you. I don't have a designing bone in my body. When it comes to drawing, art, graphic design or anything like that I am the last person you want on your project. And it's been that way my whole life. I just wasn't born with that sort of creativity. But now, thanks to Canva, no one has to know! I discovered Canva a while back while working on a workshop about Infographics. I love the visual appeal of the way data can be presented in infographics. And I always wondered how those were created...probably by someone with tons of skills I bet. But as it turns out, anyone with some basic skills and a free Canva account can create anything on par with the infographic making the rounds on Twitter. Canva is an elegant, simple to use platform that allows you to create graphics to share in presentations, on social media and other places. If you can point, click and drag, you can create anything! You start with a layout. This could be the header photo for your Twitter or Facebook page, an image for a blog post or one of the several possibilities they have. This helps set the dimensions for your image automatically. If you are feeling daring, you can set you own. Once you have a layout, then you can apply a template. The templates bring in fonts colors and images that you can customize to your hearts content. Many of the templates are free, while some only cost a few bucks. So if there is one you really want to use it won't break the bank. Now you are set to add in your own text, change colors, add items and more. There are thousands of images and graphics to choose from (most free, but others only costing a dollar). You can even bring in your own images and include them on your graphic. Once you are done designing, you can share directly to your social networks or download as a PDF or high quality image. You always have the choice to keep your creations private or make them public for the Canva community to view. Yeah this is great, but what about the classroom? Canva can add another dimension to your classroom projects. Because there are so many templates and ways to design images, students can take their understanding and turn it into something viral. A great place to start is the new Canva Design School. 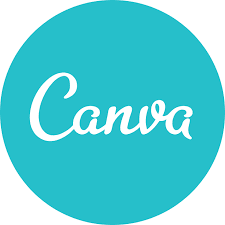 There you will find all sorts of helpful tips and tricks on not only using Canva but how Canva can be incorporated into your classroom. There are some great tutorials to help you and your students get started. And my favorite part are the Teaching Materials. First you will see 4 recorded workshops that you can view on-demand to learn how to use Canva. Below you will find a plethora of lesson plans that all incorporate using Canva in some way. I along with Vicki Davis and a few others have created several different types of lessons that you can use to see how Canva can fit into the classroom. 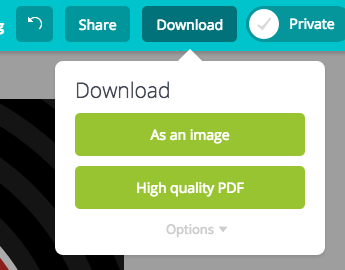 So while you may be like me and not be able to design anything, help has arrived with Canva! This past week I spent some time with some fabulous educators gathered from in and around Texas at the 2015 TCEA Convention. This was my first time attending and my first time in Austin and I had a wonderful time learning, sharing and reflecting at this first-rate, mega-sized conference. While I had 3 Featured sessions my mantra for the week was all about sharing. People ask why I spend all week at these events when I could just come in, present and be gone. It's selfish actually. I love learning. And these events are prime opportunities for me to learn from amazing educators. I want to model exactly what I encourage other educators to do. Expand your learning and learn as much as you can from others. But also, share that knowledge as well. Think about conferences like this. Only a small percentage of educators get to attend. There were approx. 10,000 educators here. What if each and everyone of those folks went back and shared all their learning with 5 people who couldn't be here. What if they shared with 10. That learning has the possibility to impact many hundreds of thousands of people. Flipping: It's Not Just For The Classroom-In this session we talked about how we can apply the principals of flipping the classroom and apply it to professional development and staff meetings to allow for more time for deeper professional learning and spend time on the things that matter. Showing How Awesome Your Are: School and Leadership Branding-During this time together we discussed the reasoning behind using social media to engage with the local community. Its fascinating to look at the data and get a true sense of how social media can impact the stories that schools and leaders need to tell. Super Secret Twitter Tips, Tricks and Resources-Everyone could use a little tip now and then on how to manage all the great information that comes from their Twitter feed. Here I reveal some of my favorite tools I use daily to manage and tame Twitter. Has Your Flipping Flopped? Don't Flip Out-All about flipping the classroom and how 2 Texas educators are doing it in their elementary classrooms. STEM In The Elementary Classroom-This was a great hands on session full of great elementary building, coding and making resources. Rolling In Feedback: How Google Forms Changed My Life-A simple, but powerful session on Google Forms and all the ways to use them from the classroom to the school level. Tammy Worcester Technology Tips and Tricks-I learned about some new apps and several tricks for getting more out of Google. The Why Of Genius Hour-If you are thinking of starting Genius Hour in your school this was the session to be at. Lots of great information. I enjoyed my time in Texas, even if it was cold and rainy. The learning was intense and wonderful. 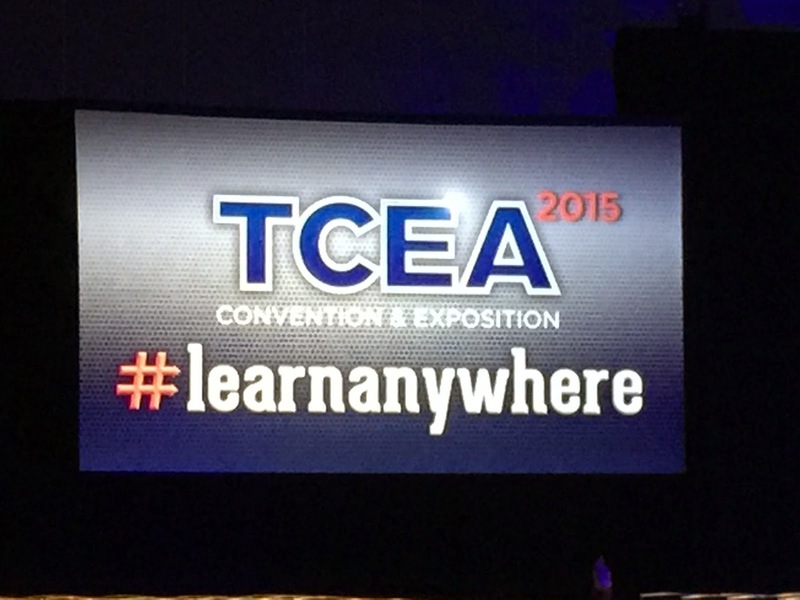 I am honored to have been invited to speak and hope to make many more TCEA conferences in the future!